In celebration of the launch of Grand Theft Auto V for PlayStation 4 and Xbox One, Rockstar is kicking off a pair of epic giveaways with your chance to score a grand prize super limited-edition Custom GTAV PS4 or Xbox One console - along with runners-up Deluxe Prize Packs stacked with exclusive new GTAV gear and collectibles. 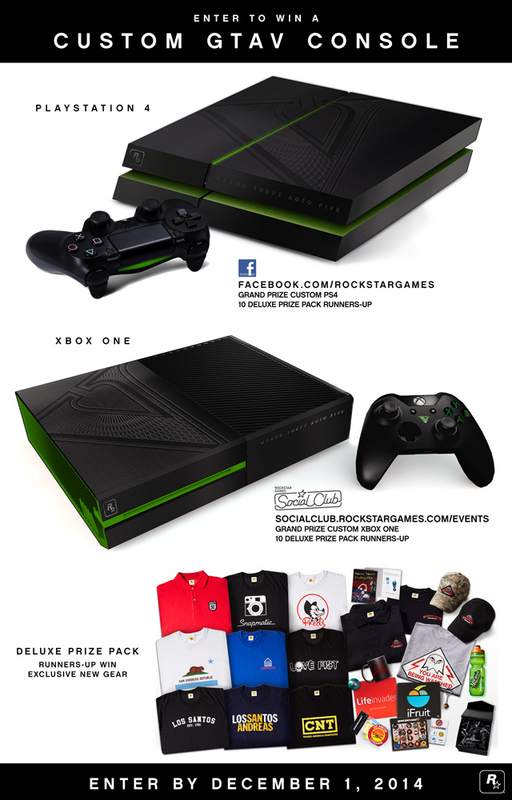 You can enter at the Rockstar Games page on Facebook, where the Grand Prize is the custom PS4 and at the Rockstar Games Social Club, where they're giving away the custom Xbox One. Both of these individually hand-fabricated consoles features an exclusive black-on-black Grand Theft Auto V design, laser etched on micro perforated metal paneling with hi-gloss deep green painted accents and a custom color-matched controller. They'll also be stocking this gear featured in the Prize Packs for purchase over the coming months as part of the Grand Theft Auto V Collection at the Rockstar Warehouse but for now your only way to score them is exclusively in this giveaway. 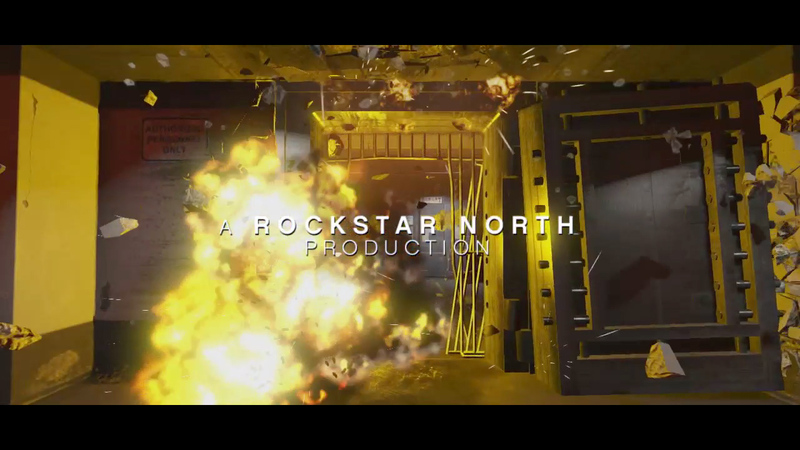 Rockstar Games Custom Console Giveaway - Rockstar is giving away a custom GTA V-themed PlayStation 4 and Xbox One! Runner-up spots also get some cool gear!